Positive leaders achieve results such as improved innovation, creativity and productivity within their organization. In this webinar, participants will receive tips and guidance on how to become a positive leader in the energy sector, regardless of position or rank. Worksheets on how to prepare and practice for your own positive leadership style are available here. A summary of Nelson Mandela’s timeless leadership lessons is available here. 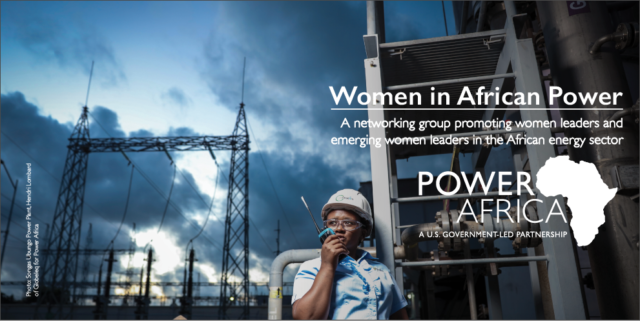 View the video to learn more about Power Africa and Women in African Power (WiAP) in a webinar designed to provide participants—particularly for women working in the energy sector—tips and guidance on how to become a positive leader in the energy sector, regardless of position or rank. The information and views provided in this resource is not official U.S. Government information and does not represent the views or positions of the U.S. Agency for International Development or the U.S. Government.